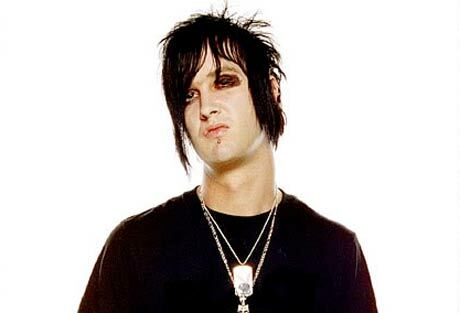 Avenged Sevenfold drummer Jimmy "The Rev" Sullivan was found dead in his home in southern California on Monday (December 28), authorities have confirmed. The Orange County Coroner's Office is investigating the death, though preliminary police reports indicate Sullivan died of natural causes. He was 28. In a post on Avenged Sevenfold's website, Sullivan's band-mates wrote, "It is with great sadness and heavy hearts that we tell you of the passing today of Jimmy 'The Rev' Sullivan. Jimmy was not only one of the world's best drummers, but more importantly he was our best friend and brother. Our thoughts and prayers go out to Jimmy's family and we hope that you will respect their privacy during this difficult time. Jimmy you are forever in our hearts." Sullivan helped found Avenged Sevenfold in 1999 and went on to play on all the band's albums: Sounding the Seventh Trumpet (2001), Walking the Fallen (2003), City of Evil (2005) and Avenged Sevenfold (2007). In 2006, the group made headlines by winning Best New Artist at the MTV Video Music Awards with "Bat Country," a track that saw the band beat out the likes of Rihanna, Chris Brown, Panic! at the Disco, Angels and Airwaves and James Blunt. Avenged Sevenfold were reportedly in the process of recording their fifth album.